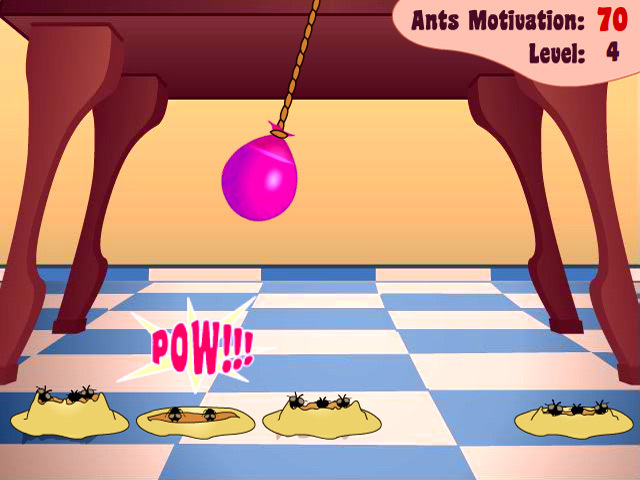 Keep the hungry ants at bay with water balloons! 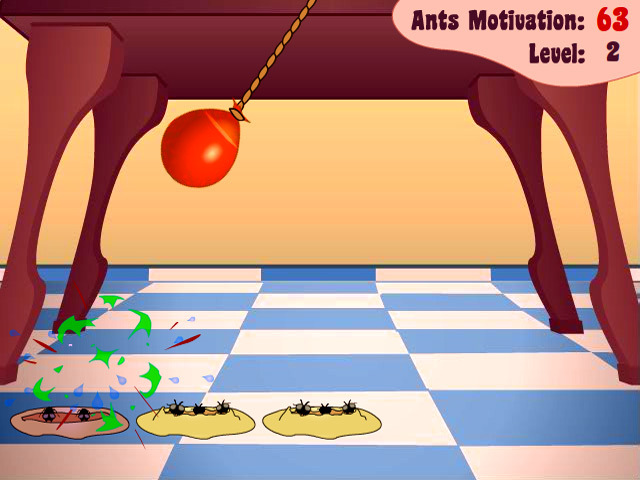 Save your cake and eat it too in this fun arcade game!Save the party from ant attacks!Keep the hungry ants at bay with water balloons! Save your cake and eat it too in this fun arcade game! 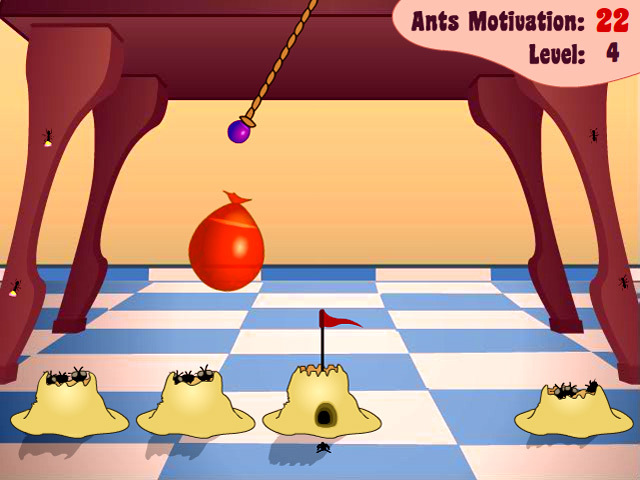 Battle determined waves of cake-craving ants by bombing their hills with anti ant water balloons. 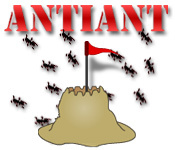 Work quickly, once an ant hill is completed, the ants begin their assault on your cake; lose enough cake to the voracious bugs and your party is sunk!